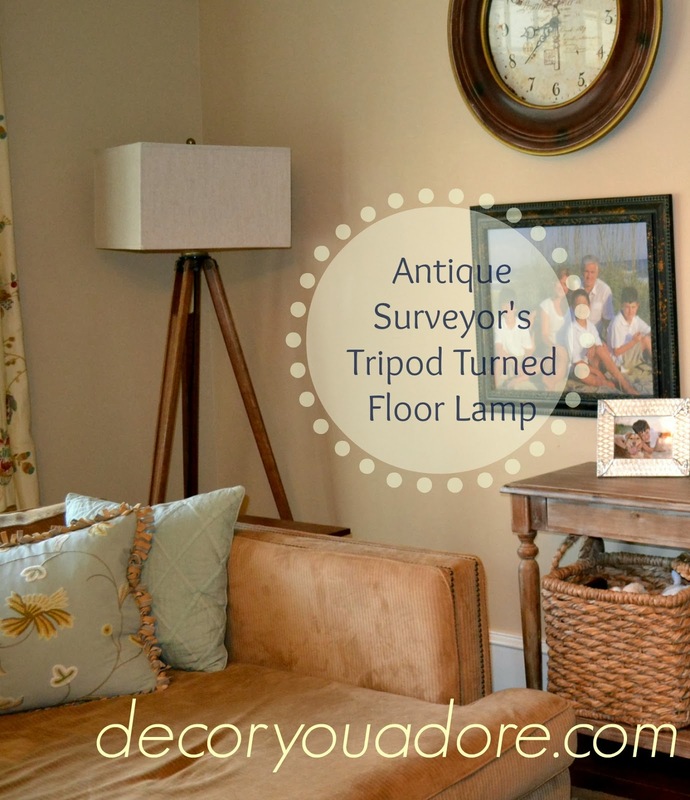 Decor You Adore: Surveyor's Lamp, turn a relic into a treasure! Spectacular vintage surveyor's tripod re-purposed into a floor lamp. I found this one at the Metrolina Expo Antiques Extravaganza in Charlotte, NC. 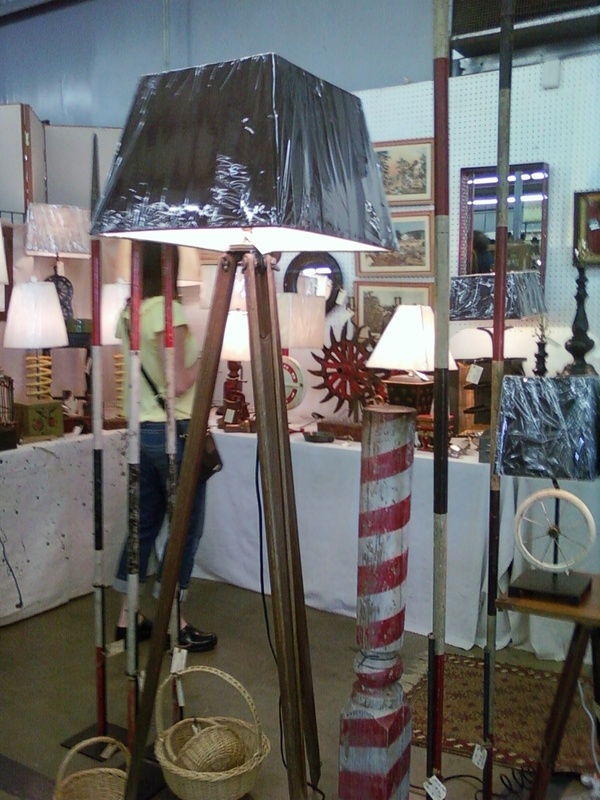 This particular vendor has a knack for turning everyday items into nifty treasures. It stopped me in my tracks. I love to infuse a bit of vintage into my design style. A room looks lived in and interesting when it contains something OLD, stylishly paired with your new treasures! It's made from an old surveyor's tripod. It had just the right amount of charm and age and for $250, it was coming home with me. I tried it in every room in my house (as I do with most things). If you buy what you LOVE, you'll find a spot for it, I promise. A room with all new items can look like a furniture showroom. 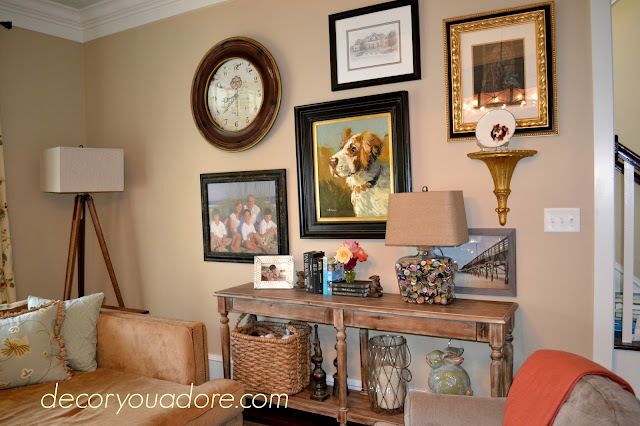 To evoke character and charm, try adding a vintage piece! With a new linen shade, it's right at home in my family room. You can read about my gallery feature here. Search ebay, craigslist or flea markets for a surveyor's stand. 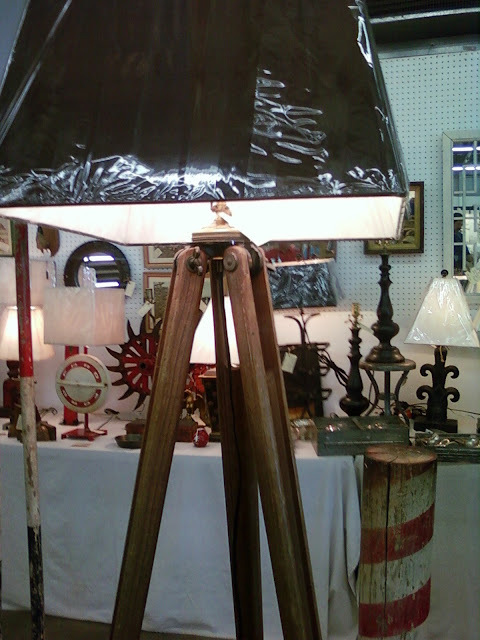 A simple lamp kit from the hardware store, and you can turn it into a statement piece. If you don't enjoy the hunt, JC Penney has one: no flea market search required! 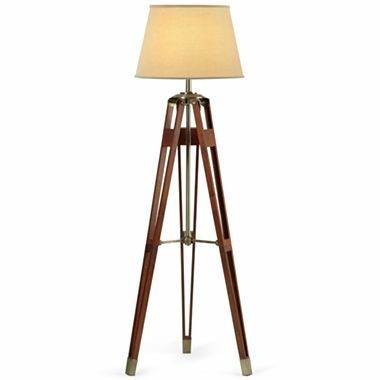 Lamps Plus has one too! 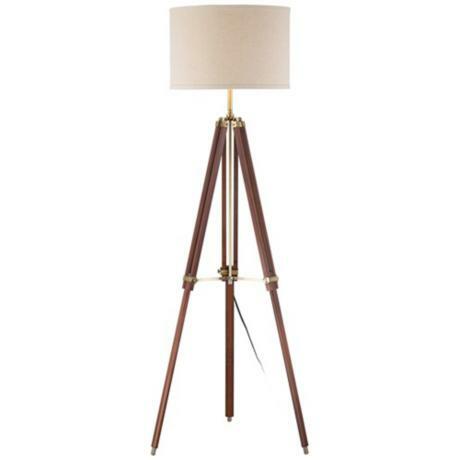 If you are industrious and want to make one for yourself, these old tripods are readily available on Ebay. I love the rustic, steampunk qualities of this one. Have you tried this project yourself? We'd love to see your result, and as always, we ADORE your comments!